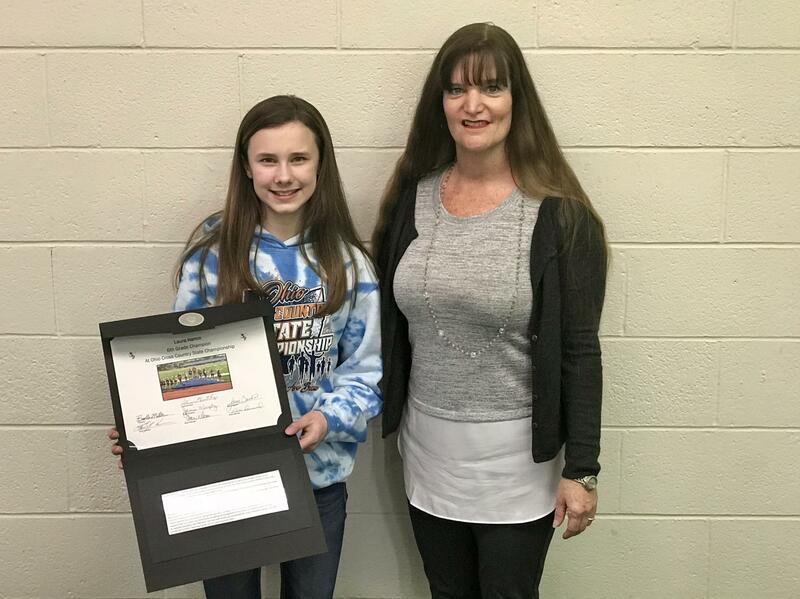 Student-Athlete Laura Hamm was recognized by the Dawson-Bryant Board of Education at its meeting on February 5, 2018 for winning the 6th Grade Ohio Cross Country State Championship. Congratulations Laura on this outstanding accomplishment! Laura Hamm with Board President Jamie Murphy.